Ohio State’s Department of Economics and the Department of Agricultural, Environmental, and Development Economics (AEDE) have launched a new graduate professional degree program in applied economics. Applications are currently being accepted for enrollment during the 2017-2018 academic year. The master’s degree program, which can be completed in just two semesters through 31 hours of coursework, is designed to provide hands-on training in applied economics for those seeking or actively engaged in careers in business, government, international organizations, and research institutions, among others. The applied economics core curriculum is comprised of economics and econometrics courses, which provide students with an understanding of key concepts, methodology and analytical tools for the sound application of economic theory and quantitative economic analysis. The program’s core courses are supplemented with electives in fields such as public policy, environment and natural resources, and international development, among other topics. Unlike other master’s programs offered by the two Ohio State economic departments, the applied economics program is a professional degree designed to give students practical training along with advanced theoretical knowledge. The deadline to apply for enrollment for the 2017-2018 academic year is April 30, 2017. Application instructions can be found at: go.osu.edu/appliedeconomics. To learn more, contact Holly Hall, AEDE’s Graduate Recruitment Coordinator at aedegradservices@osu.edu or 614-292-3599. AEDE also offers a Master of Science degree program in agricultural, environmental and development economics, which requires the completion of a thesis and an MS level exam. The MS program is aimed at students interested in pursuing a career in the academic arena and continuing their studies at the doctoral level. Additionally, the department offers a PhD degree program in agricultural, environmental and development economics, which has been ranked as a top ten program among all U.S. agricultural and applied economics programs and as a top eight program within U.S. public institutions. The Department of Economics offers Master of Arts and PhD degrees in economics. Its graduate program is designed for students who seek academic and research careers in U.S., foreign and international institutions. The Department of Economics accepts only PhD applications, and their students obtain an MA en route to their PhD, but it also offers an MA to students who are admiited to other PhD programs at OSU. 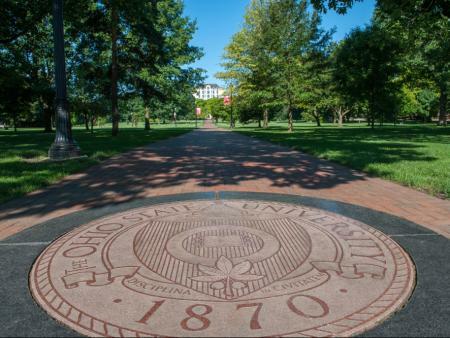 The OSU economics program is one of the most prominent in the U.S., and has been ranked as a top ten program among all U.S. public institutions.